AssociatePI is owned and managed by CPCU® designees. Our courses and practice exams are written by CPCU® designees that have passed their exams and earned their designation. We have been in your shoes. We know how difficult these exams are. We know how overwhelming it is to study and memorize the hundreds of pages of complex insurance topics. That’s why we designed our online course that simplifies the studying process, helping you better prepare to pass your exam with less stress and less studying. We write our online courses to simplify the studying process, conveying the topics in simple terms and plain English. We make it easy to read, comprehend, and consume the abundance of complex content. This course will cover every topic and minor details that may appear on the CPCU® 520 exam. This course is updated according to the latest edition of the CPCU® 520 exam, this course is up to date with the current content of the exam. Pass your CPCU® 520 exam using our Comprehensive Online Course or your full money back, guaranteed. If you don’t pass your exam using our Comprehensive Online Course, we will issue you a full refund for the cost of the program. Stop struggling. It’s time to study with less stress. With an online course that simplifies the difficult CPCU® topics, helping you easily navigate the overwhelming content to comprehend the complex concepts and pass in less time with less studying. EASY TO READ. EASY TO COMPREHEND – No more long drawn out overwhelming textbooks. We write our online courses to simplify the studying process, conveying the topics in simple terms and plain English. FULLY PREPARED TO PASS – Fully prepare to pass the exam. No more struggling to recall information when taking your exam, no more forgetting the minor details, and no more uneasy feelings of unpreparedness when you sit for the exam. PASS YOUR EXAM (99% PASS RATE) – No more stress. You are going to pass. Thousands have used the AssociatePI program to pass their exams, with a 99% exam pass rate (compared to the industry average 70% pass rate). STUDY FASTER (PASS IN JUST TWO WEEKS) – Stop wasting your time. You no longer need to study for 8 weeks to pass your exam (the industry recommended study time). BY CPCU® DESIGNEES FOR CPCU® STUDENTS – AssociatePI is owned and managed by CPCU® designees. Our courses and practice exams are written by CPCU® designees that have passed their exams and earned their designation. ONLINE. MOBILE. PRINTABLE – Your online course is completely online, mobile compatible, printable, and available as an app. Suitable for any studying style. Easier Studying. Faster Studying. Pass GUARANTEED (or your money back). Stop wasting your time studying. It’s time to pass in less time with less studying. Pass the CPCU® 520 exam in just two weeks of studying (with a 99% pass rate). COMPLETE ONLINE COURSE – Covers everything that will be on the exam. Designed for faster, easier studying. Completely online and downloadable as a PDF for those that would rather print a physical copy of the course. MASTER THE DETAILS – Course points out the minor details and breaks down the complex concepts so you can master every aspect of every topic (the hardest part of the CPCU® 520). Including a unit and quiz of each chapter dedicated to reviewing the most important topics of the chapter, ensuring you grasp the primary concepts. FILL IN THE BLANK STUDY GUIDE – Designed to ensure you take notes on the most important topics. 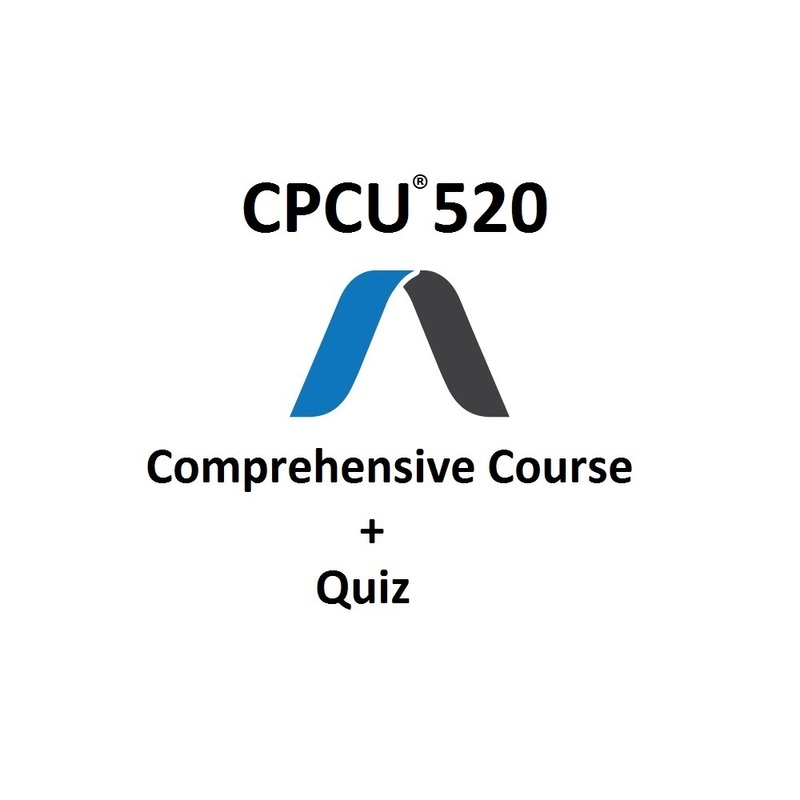 350+ PRACTICE QUESTIONS – Quiz questions for each topic of the CPCU® 520 exam to ensure you grasp the main concepts. 2 COMPLETE PRACTICE EXAMS – 75 questions each, formatted exactly like the actual CPCU® 520 exam (with the same number of exam questions) to give you a “real exam” feel. CPCU® INSIGHT – Course includes our insight detailing what to expect from each chapter on the CPCU® 520 exam, detailed answer explanation of each quiz question, and our personal email support to provide advice on any question or exam topic. MOBILE APP – Download the AssociatePI mobile App and study on the go! Perfect for your commute to work. 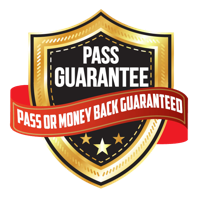 MONEY BACK GUARANTEE – Pass the CPCU® 520 exam with our Comprehensive Course or your full money back, guaranteed. 99% SUCCESS RATE – We have helped thousands of students pass their CPCU® exams. In that time, only a few students have failed. Please see below for the full course curriculum. Q: What Type Of Course Is This? A: This course is entirely online and self-study. Study at your own pace and navigate through our series of text-based modules, quizzes, and practice exams. The online course is mobile compatible and hosted on AssociatePI’s website. You will be prompted to create an account, your account will sync with your online course. To access your course, log in to AssociatePI with your username and password. Q: Do I Need To Purchase The Textbooks Or Any Other Study Material For Your Course? A: Nope! Our course covers everything that could possibly be on the exam in extreme detail, no need for other supplemental study material. Q: What Edition Of The Course Is This? A: This course is updated according to the latest edition of the exam; this course is up to date with the current exam content. Whenever the exam changes we update our online course to reflect the new content. Q: The Content Of The Exam Is Changing. Do I Need To Purchase A New Course? A: Nope! Our courses are automatically updated, at no cost to the user, each time the exam content changes. Whenever the exam changes we update our online course (during the downtime so it doesn’t disrupt studying) to reflect the new content. No need to buy a new course, your online course will always reflect the most up to date exam content. Q: What’s Different About Your Course? A: The major benefit of our online course is that each section and question was handcrafted by a CPCU® expert that has passed the CPCU® 520 exam, meaning we know exactly which topics are important and how the questions are formatted. By replicating the questions as closely as possible to the actual CPCU® 520 exam, we give our course and practice exams a “real exam” feel, helping our users better prepare for their exam. Q: How Do I Know It Works? A: Our online courses, practice exams, and resources have been used by thousands of personal and commercial insurance employees. We’ve personally helped thousands complete their CPCU® designation and most even come back to help us improve our courses after they pass! After some back and forth on whether to purchase the exam package I decided to take a chance and purchase the service. It was the best thing I could have done.They break down the topics well and take you step by step through all the material. Then the full practice tests give you a great idea of where you stand come test day. When I took the test I did not know what to expect but to my surprise the questions were worded almost identically to those of the questions on Associate PI. I passed the CPCU® 500 exam with ease thanks to this website. I have since passed the CPCU® 520 using this site as well. The way to pass these exams is by practicing as much as you can and this website makes it easy. I would recommend every CPCU® student take advantage of these test banks, they are truly better than anything else I have seen. Thank you Jake. The material provided was really helpful. I wish i could have known AssociatePI earlier. I would definitely inform my friends and make best use of your services with the upcoming CPCU® exams. I just wanted to thank you for all your help while preparing for CPCU® 520.I did pass the test, I will be purchasing CPCU® 530 comprehensive course next week and perhaps CPCU® 540. You guys are great. 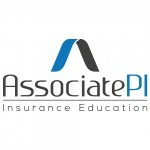 I will be sure to spread the word about AssociatePI around my company. You guys are great. I am taking the exam on 12-15-17. Regardless if I “non-pass”, I am still learning and life is too short to not continue enriching yourself. Thank you for your time. …but not by much. Like the CPCU 500, I thought the content was good and relatively easy to get through. However, there were a few questions/subjects on the test, that were never mentioned in the course. Overall, I feel like the content on this website is easier to digest vs. reading a textbook from the Institutes, but clearly it cost me a few questions on the test. Because of the money back guarantee, I’ll continue to use AssociatePI.